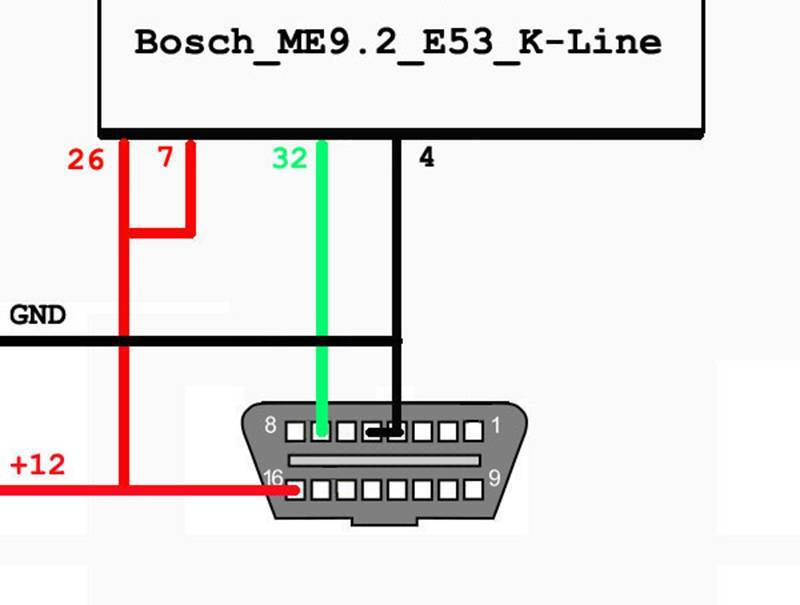 This is how to use a K-Line BMW interface to read Bosch ME9.2 (E46 E53). You can use any suitable K-Line BMW interface, such as a K+DCAN USB cable running INPA 5.0.2, a hand-held Creator C310+ scan tool . You must apply two powers, ground and pin 7 from K-Line interface.